It's Craft Lightning Week! This week I'm part of a fun group of bloggers who have all come up with awesome 15 minute or less Dr. Seuss- inspired crafts! I realized that it's been a long time since I've made something for my daughter- so my project is this beautiful Dr.Seuss-inspired Loopy Bow! I love the red, white, and teal used most often in Dr. Seuss decor, but I want my daughter to be able to wear the bow for more than one day! So I used the Seussian colors to make this fun loopy bow! I used 3/8 for all but one of my ribbons, but you can use any mix of 3/8 and 1/4, grosgrain, satin, or sheer, patterned or plain. Whatever you want is great! *Note- if you are cutting your ribbon from a spool, you'll need to add in a few extra minutes for cutting! Let's get to it! (In pictured order:) 1. Cut your ribbon into 4 inch lengths. You can cut several ribbons at a time to save time (2-3 minutes) Sort the ribbon into piles if desired. You really don't have to go in order- it will look cute no matter what. (1 minute) * (Not Pictured) Pick up your needle and thread. Make sure you have a nice big knot at the end so it won't pull through your ribbon! 2. 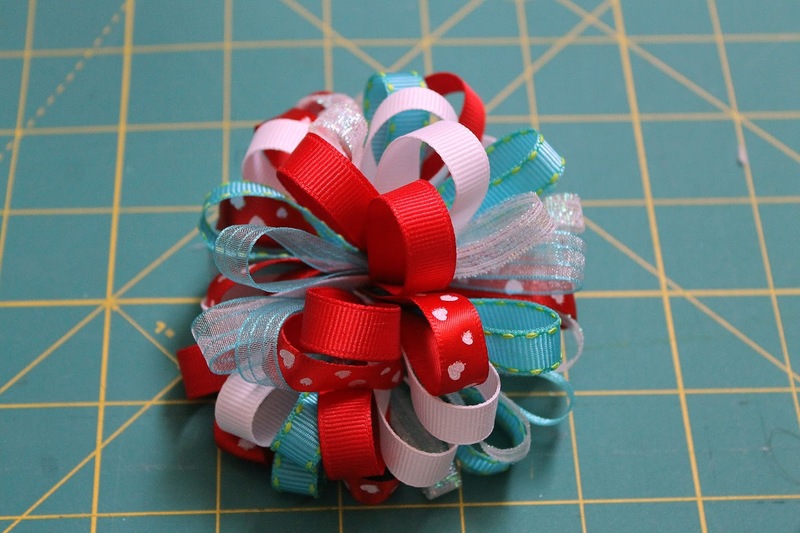 Begin making your loops by softly folding each ribbon piece in half (no creases!) , then pushing your needle up through both ends. 3. 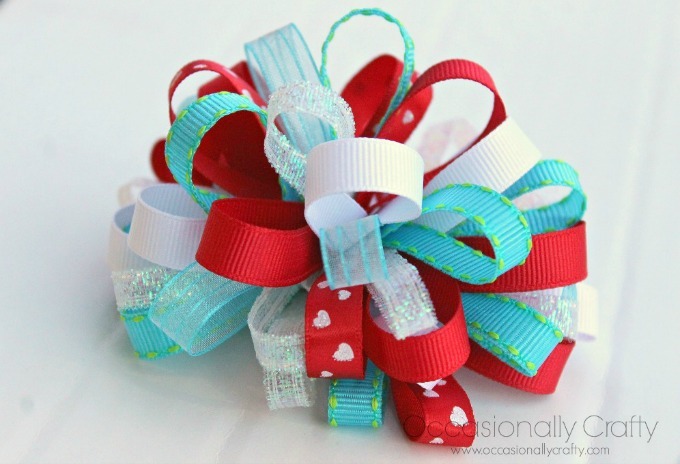 Continue doing this with each piece of ribbon. You can keep all the loops on your needle if desired, but it's fine if they go down onto the thread. (6-7 minutes) 4. Once you've got all your ribbon on the needle and thread, pull the needle through all the ribbon loops as you push them onto the thread. Set your needle to the side. All your ribbon should move from the needle (as pictured) onto the thread. 5. Take both ends of your thread and tightly tie them in the center of your bow. Do this 3-4 times so it won't come out. (1 minute) Your front should look like this. Your back has all the ends and needs to be covered. 6. 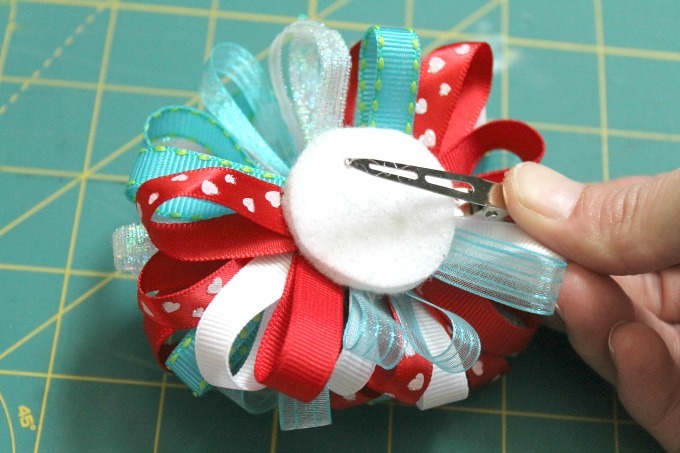 Cover one felt circle with hot glue and place it in the center back of your bow, covering the cut ends. 7. 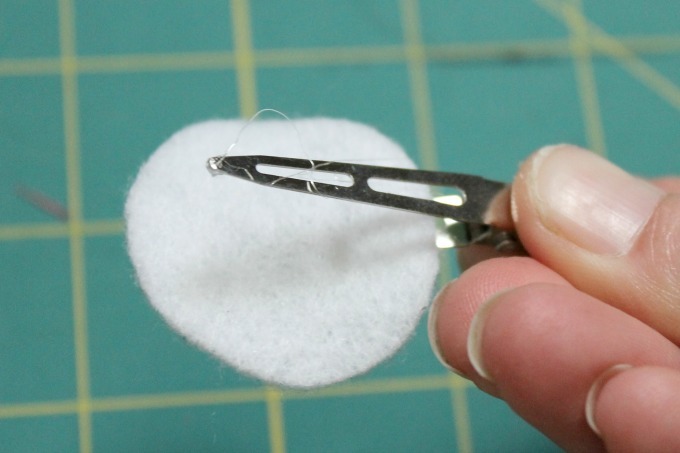 Attach the alligator clip between the felt circles by placing a thin line of glue down the other felt circle, then placing the top of the alligator clip over it. (The felt circle should be between the alligator clip. And now you have an adorable bow! I'm thrilled because we'll be able to use this for Valentine's Day as well! Now, go check out the rest of the Craft Lightning posts by clicking on the button below! Happy Birthday Dr. Seuss! This is such a great tutorial! I have always wondered how these bows are made. Thanks Lauryn- it really is so much easier than I thought! I love this cute bow! It was so clever of you to do so many little loops so it was nice and fluffy! Thanks Cat! I love how easy it is to make! 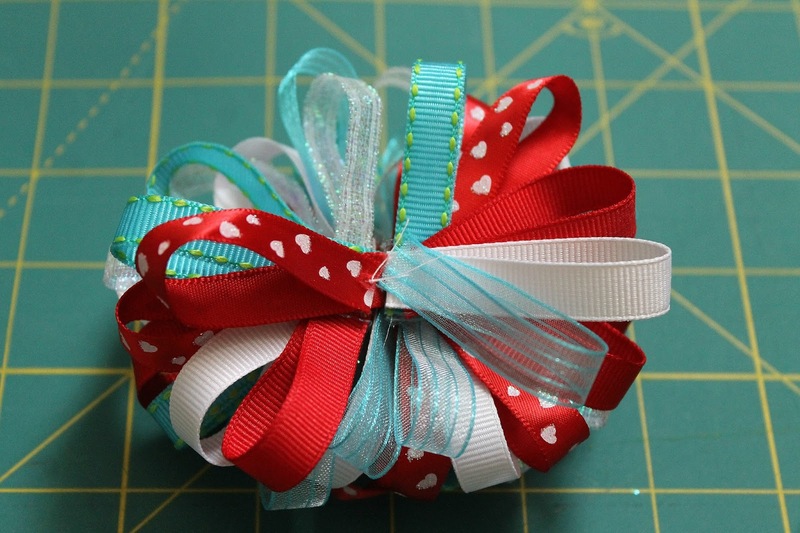 This is a great tutorial...I love all the pictures...cute bow! Thanks! I always learn best by seeing how to do it so I try to use lots of pics in my tutorials. Thanks for stopping by! Great bow! It's so cute! You have a lot of patience to make pretty. So cute. 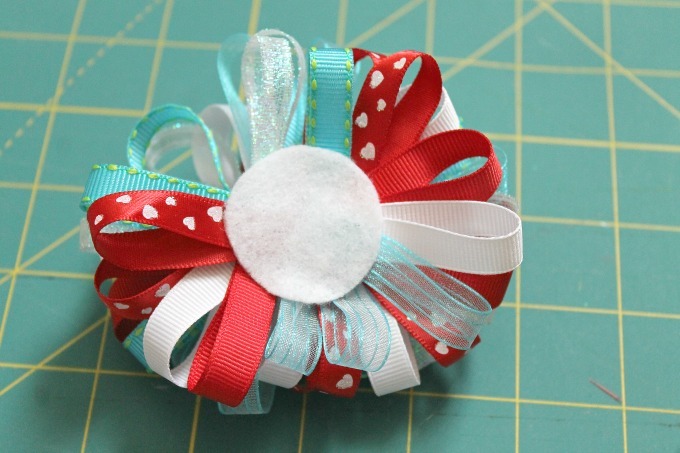 Usually I'm a pretty lazy crafter, so I love that in only takes 15 minutes! This is so creative and fun! I know a friend who would love this! Send 'em over! Thanks so much Tara- I appreciate you stopping by! OMG! This is the cutest!! Thanks Tiffany! My daughter loves it! Angela- thanks! 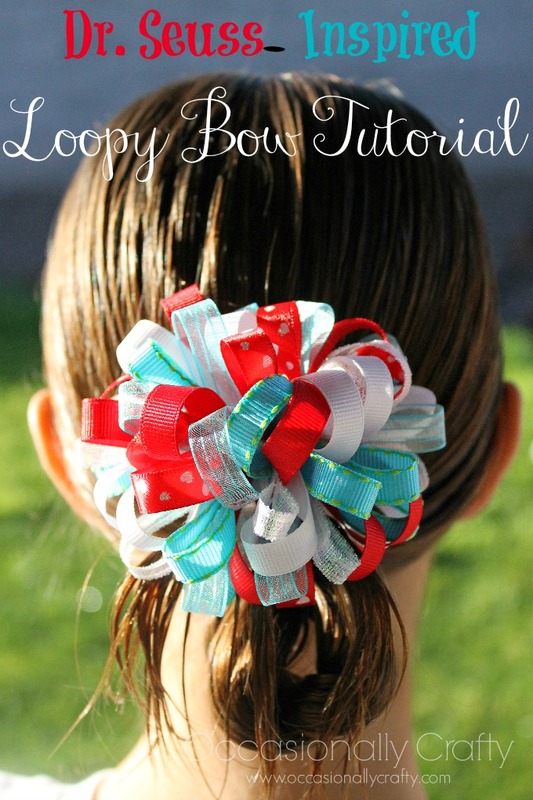 It is really easy, and you can make it with less loops for a smaller bow too! 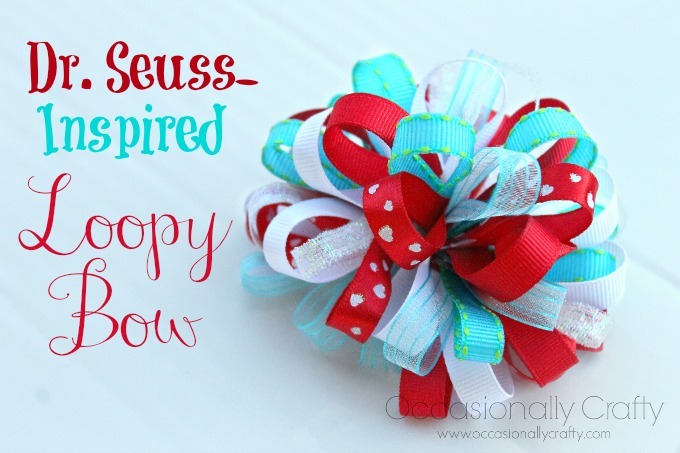 Such a cute idea for the Dr. Seuss lovers! Great bow! Love the step by step! Thanks Angie! I hope it's helpful! These are so CUTE. I'm totally in love with the colors. I haven't tried to make a hair bow for my daughter yet, but I think I may finally be inspired.